Our beautiful Hawaiian Islands are notorious around the world for a few things: pristine beaches that stretch on for miles, lush tropical forests, panoramic views, and the Aloha spirit that you’ll only find on the islands. 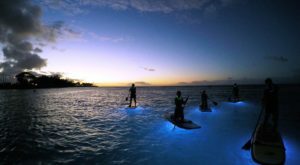 That isn’t all you’ll find in Hawaii, though; the islands are home to countless unexpected and surprising – but simply amazing – locations to visit, many of which we’ve talked about here at Only In Your State. From snow-capped mountains to desolate deserts, you’ll want to add these 13 unexpected locations to your Hawaii bucket list as soon as possible. 1. Sip wine in an old jail cell. 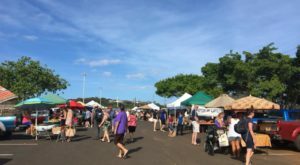 In the land of umbrella drinks, it can be tough for a wine lover to find a glass of good wine, but in beautiful Kula, MauiWine is truly in a class all it’s own — and that’s not just because you’re able to drink estate wines out of an old jail cell on the property. 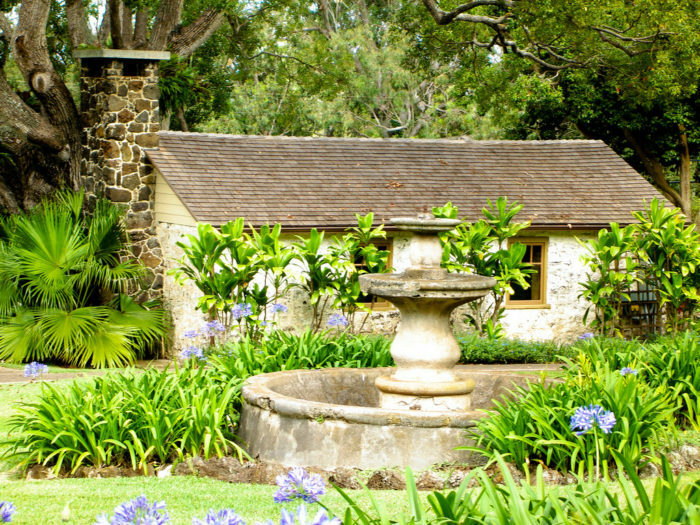 The cottage was built in the mid-1800s and served as the office for James Makee, a former whaling captain turned rancher and sugar plantation owner. Now situated behind the bar, and accessed via a staircase through a trapdoor in the floor are the remnants of what was used as a makeshift jail cell. 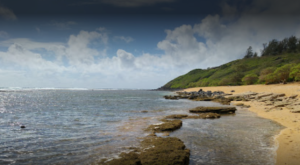 For more information about this unexpected Hawaii destination, click here. 2. 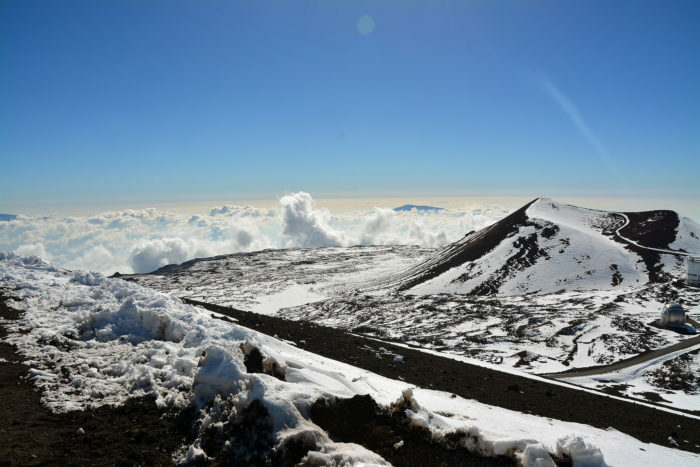 Play in the snow at the summit of Mauna Kea. No one really expects to see snow when they visit Hawaii, do they? 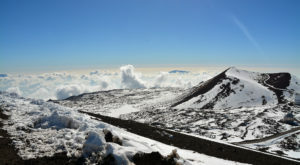 Mauna Kea measures in at 13,796 feet above sea level, the highest point in the state of Hawaii. In fact, when measured from its oceanic base deep in the vast Pacific, the mountain measures in at more than 33,000 feet tall – that’s higher than Mount Everest. And in the winter, there's snow! 3. Escape to Kauai’s Fern Grotto. Located on the Wailua River, at the base of Mauna Kapu – also known as Forbidden Mountain – is the magical Fern Grotto, known for its ferns that grow upside down from the roof of the grotto. 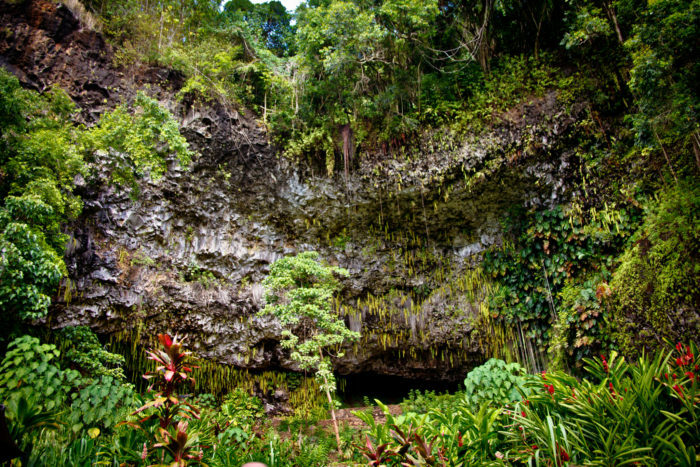 The naturally-formed lava cave was formed millions of years ago, and is home to various native Hawaiian plant species as well as colorful, exotic plants, that come together to make visitors feel as though they have entered a tropical rainforest. 4. Stroll through this lovely cactus garden. Cacti and Hawaii aren't necessarily synonymous, are they? 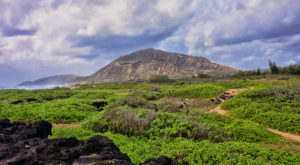 A 60-acre garden within the Koko Crater, this botanical garden is also known as the Charles M. Wills Cactus Garden – a name that suits the hot, dry climate and the flora that are able to thrive in this environment. 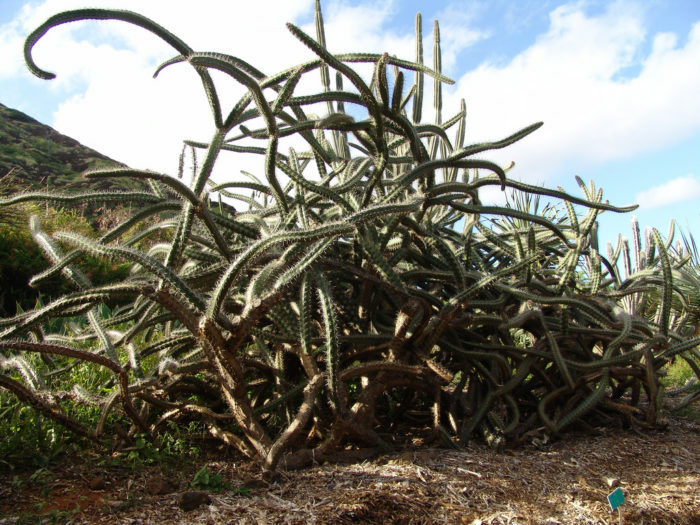 Oh, and this terrifying plant is an octopus cactus, in case you were curious. 5. 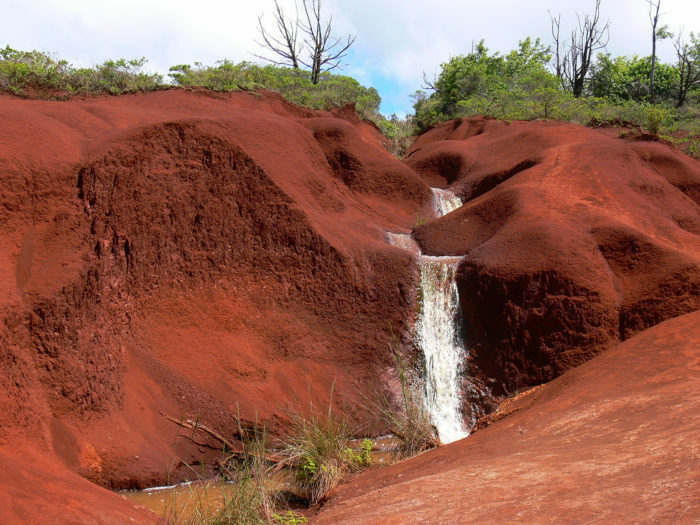 Be transported to another planet at Kauai’s Red Dirt Falls. With a burnt sienna hue caused by the surrounding red dirt, this lovely little waterfall carved into Waimea Canyon’s iconic red dirt hills is truly a sight to behold - and will easily transport you to another world, or at least the painted deserts of the American southwest. The best part of this striking landscape that surely makes us feel as though we’ve stepped foot on Mars? You don’t have to hike to see it! If it’s flowing, you can park your car on the side of the road and take it all in, but if there’s little flow, you can just keep on driving. How cool is that? 6. Hike to one of the highest lakes in the world. Located at 13,000 feet above sea level on the Big Island’s Mauna Kea, Lake Waiau is arguably one of the highest lakes in all of the United States. However, it is also relatively small, measuring in at just about 100 meters across. 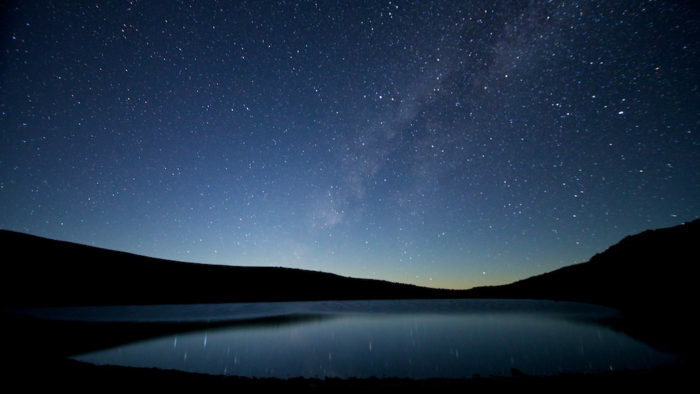 To reach this sacred lake, visitors will have to take a short, one-mile walk, found near Mauna Kea’s astronomy domes. 7. Check out this gorgeous old mill. 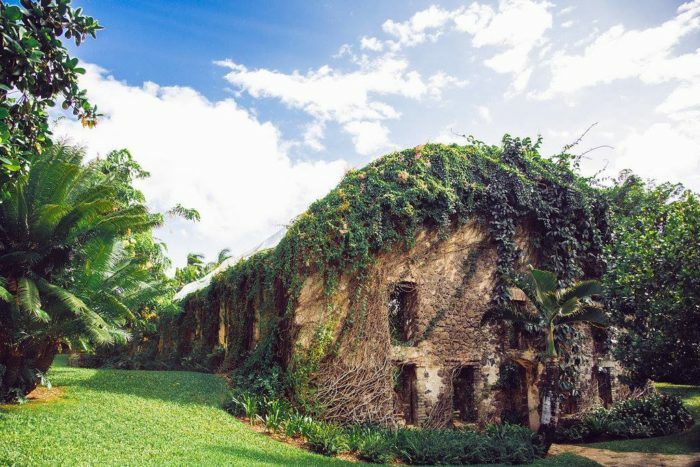 Located in Haiku on Maui’s northeastern coast, the Haiku Sugar Mill looks as though it has been pulled straight out of the pages of a storybook – with wayward vines draping 150-year-old stone walls that were left exposed to the elements in the late 1800s. Both a wedding venue and garden offering botanical tours, this breathtaking slice of history is positively dreamy. 8. Hang out in swamplands. 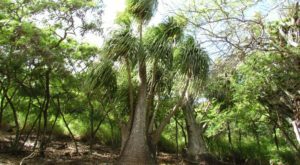 Nestled in the heart of Koke’e State Park, just north of Waimea Canyon, is the Alakai Swamp, a truly one-of-a-kind Hawaiian landscape. The Alakai Swamp Trail is approximately seven miles round trip and takes you on a journey through lush forests and ethereal swamplands. 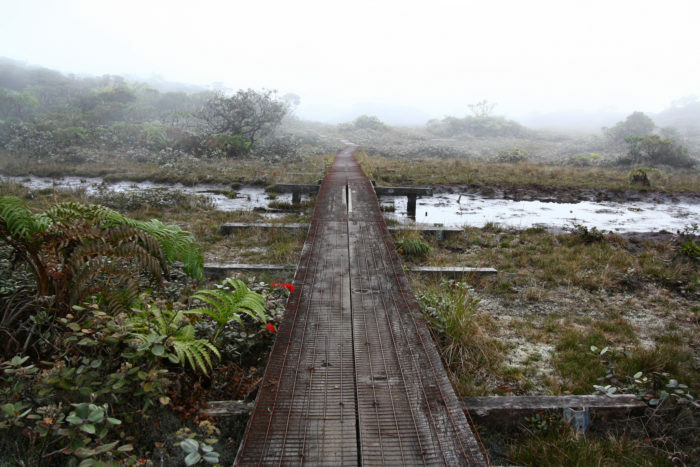 Most people start the trail at the Pu’u o Kila Lookout, meander along the Pihea Summit Trail, and traverse approximately 3.5 miles of boardwalk through a unique wet forest, and a boggy swamp. 9. Hike through a volcanic crater. 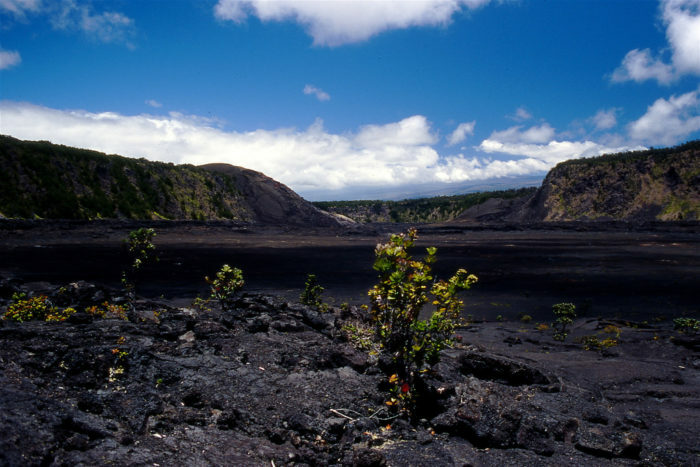 This four-mile loop trail, which is the remains of a massive 1959 eruption, is wildly popular among Volcanoes National Park visitors. 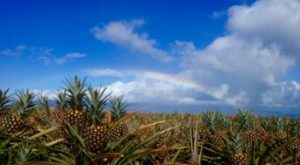 The trail – which takes hikers through lush rainforests, near active steam and sulfur vents, and across a solidified lava lake – was voted as the Big Island’s favorite scenic hiking trail by Hawaii Magazine. 10. Explore this hidden monastery. 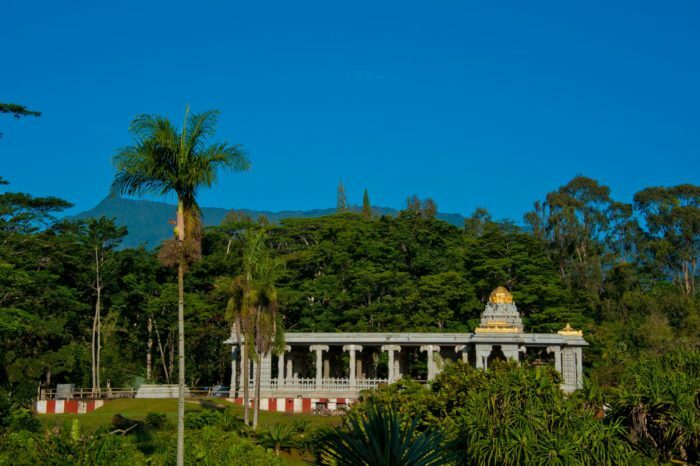 Up in the hills, four miles above the coastal town of Kapaa and hidden amongst Kauai’s lush, tropical landscape is the Kauai Aadheenam Hindu Temple – a beautiful magnificent spiritual sanctuary that sits on 363 acres near the wettest spot on earth, Mt. Waialeale. The monastery is now home to the head of the monastery – or the Guru Mahasannidhanam - Satguru Bodhinatha Veylanswami, and his order of 21 swamis, yogis and sadhakas from six nations. 11. Visit the otherworldly landscape at Garden of the Gods. Keahiakawelo, also known as Garden of the Gods, is a magnificent rock garden located at the end of Polihua Road, 45 minutes from Lanai City. 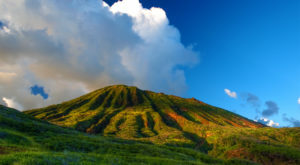 According to Hawaiian legend, the landscape is a result of a contest between two kahuna – priests – from Lanai and Molokai. They were challenged to keep a fire burning on their respective islands longer than the other. Kawelo, the Kahuna from Lanai, used all vegetation in Keahiakawelo to keep the fire burning – which is why the area is so barren. 12. 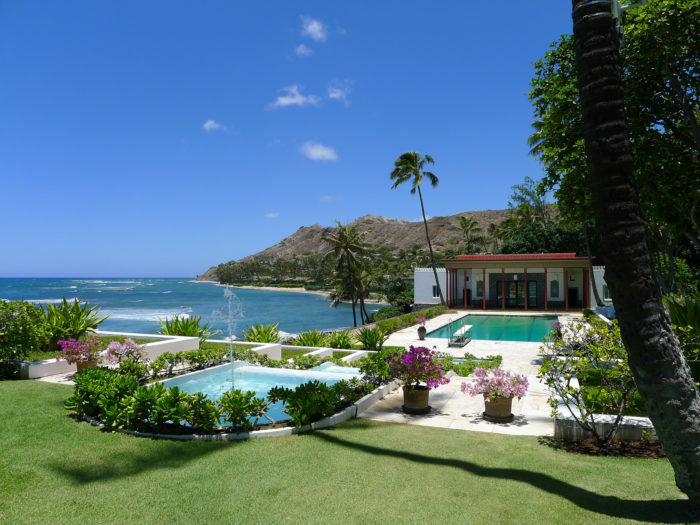 Get inspired at Doris Duke’s Shangri La. Often considered to be one of Hawaii’s most architecturally significant homes, Shangri La is an utterly enchanting Islamic-style mansion built in the late 1930s by heiress Doris Duke near Diamond Head just outside Honolulu, and overlooking the Pacific Ocean. The mansion is filled with art, furnishings and architectural elements from Iran, Morocco, Turkey, Spain, India, Syria, and Egypt. 13. Explore the vast Ka’u Desert. 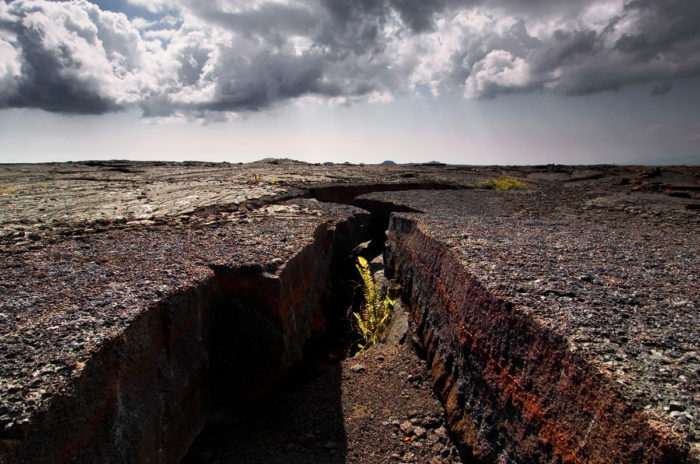 This vast and mysterious land located within the southwesternmost district on the island of Hawaii is known as the Ka’u desert and is home to dried lava remnants, volcanic ash, sand, and gravel – and little else. Inhospitable conditions paired with a lack of rainfall, extreme heat, and a severe scarcity of plant life cause most people to overlook the raw - and desolate - beauty that is the Ka’u Desert. How many of these epic and unexpected Hawaii locations have you visited? Looking for more places you wouldn’t expect to find in Hawaii? 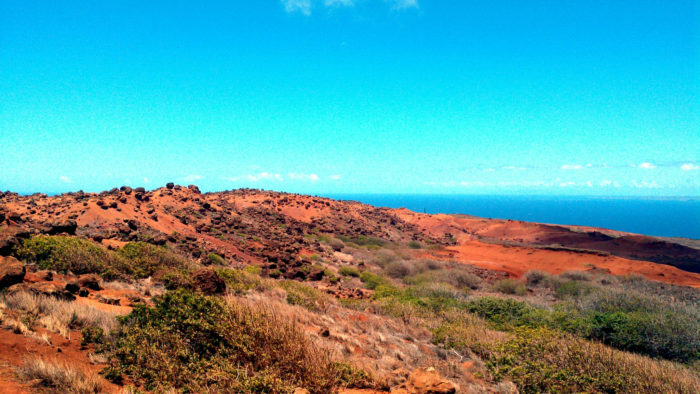 Check out these 10 hikes that will make you forget you’re even in Hawaii.